First and foremost, welcome to your first nnBeta! This is an exciting time to be in the hobby and I couldn't be happier to have willing individuals like yourself to help me test my designs. So thank you for your interest and support. Beta plans are untested and unproven. 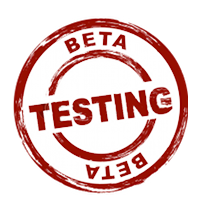 While I have done first round testing on my own, I make no promises for the quality, performance, or build process for beta plans. Participate at your own risk. Unfinished plans that may not "just work"
Build testing. Once built you're welcome to flight test to your heart’s desire, but the focus will be on the build first. Test the plans for what they are, not improvising along the way. You're welcome to make whatever changes you want to final plans but the beta is to test the plans as they are. Share your feedback, in detail, with pictures if possible. Call out any bugs found or design techniques that could be improved. This includes anything that prevents you from 'just building' from the plans. Have fun and don’t feel pressured to build anything on a schedule. There are no ‘deadlines’ any feedback you provide is helpful and appreciated. Changed dihedral gauge into aluminum guide. You can now set the correct dihedral by the angle of the aluminum.